Hi Hoppers! 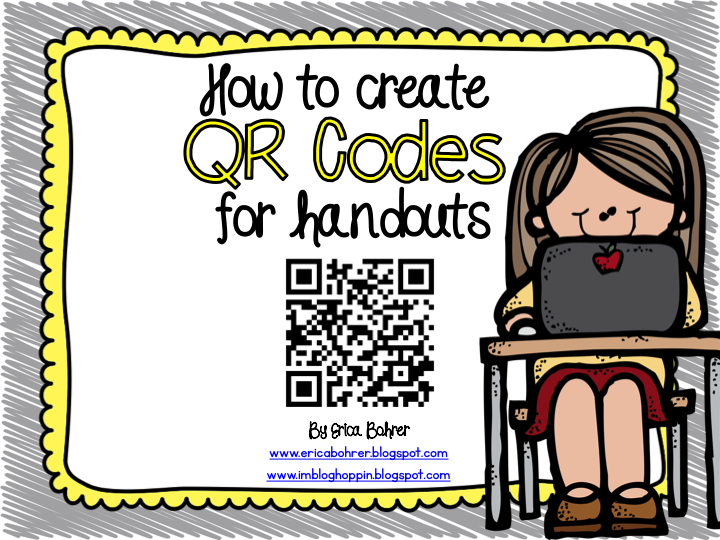 Erica Bohrer here from Erica's Ed-Ventures with a simple idea that sounds harder than it is! I add QR Codes to my parent newsletters. 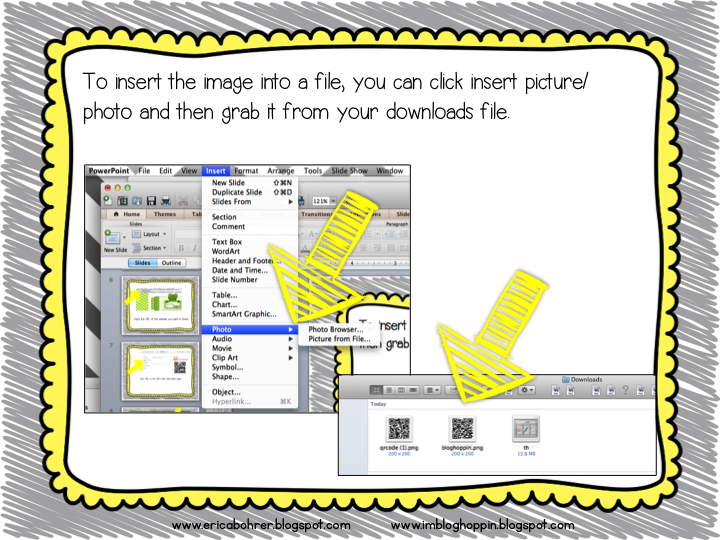 I do this as an easy way for parents to access certain websites. 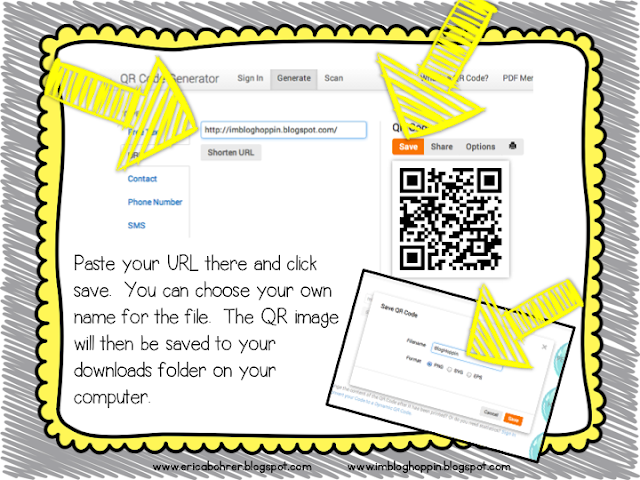 Most parents own a smart phone or smart device and can download a QR Code Reader App for free. 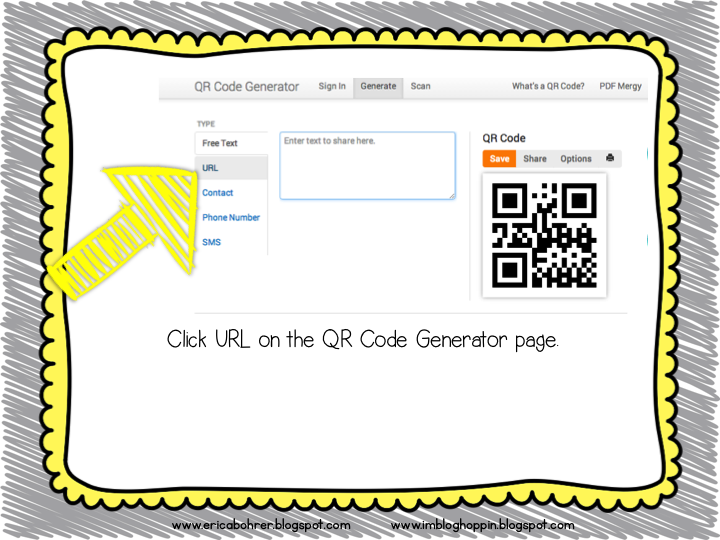 They use the app to scan the QR code and it instantly takes them to the website! 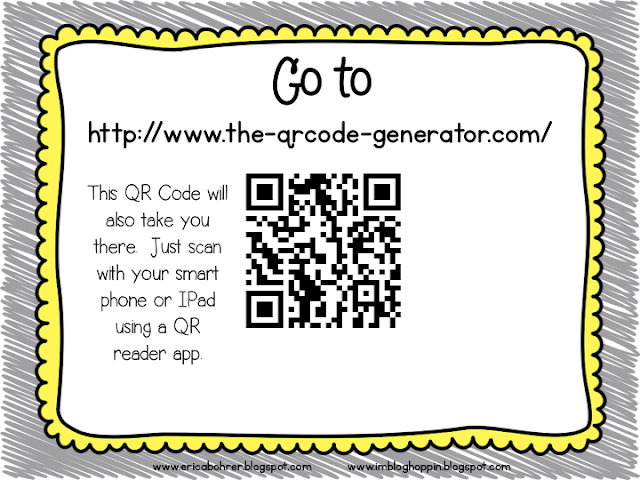 I add the code in my newsletter for our online Scholastic orders, our classroom Shutterfly Site, the district webpage, Classroom Dojo, and more! Do you want to try? Here is an easy tutorial. 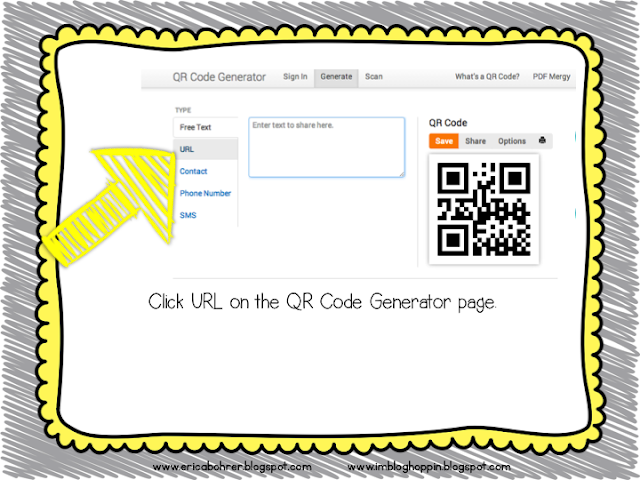 I Googled QR Code Generators and the site I mention above was the first one that came up. It is simple and easy to use! I hope this little tutorial helped you! 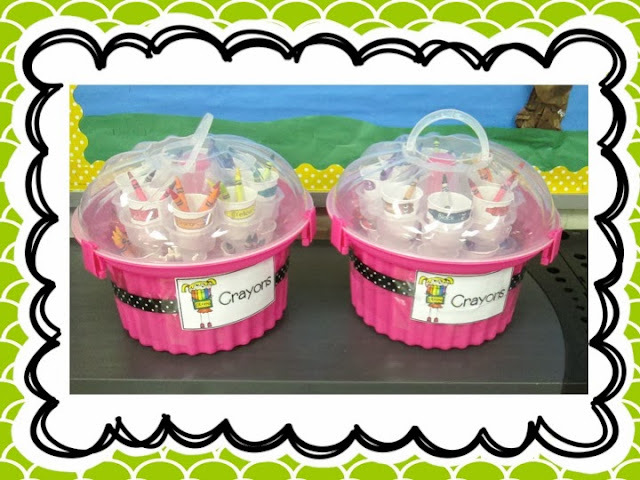 This is Cindy from Love Those Kinders and I am going to share some ideas for making life a bit easier for teachers and kids! 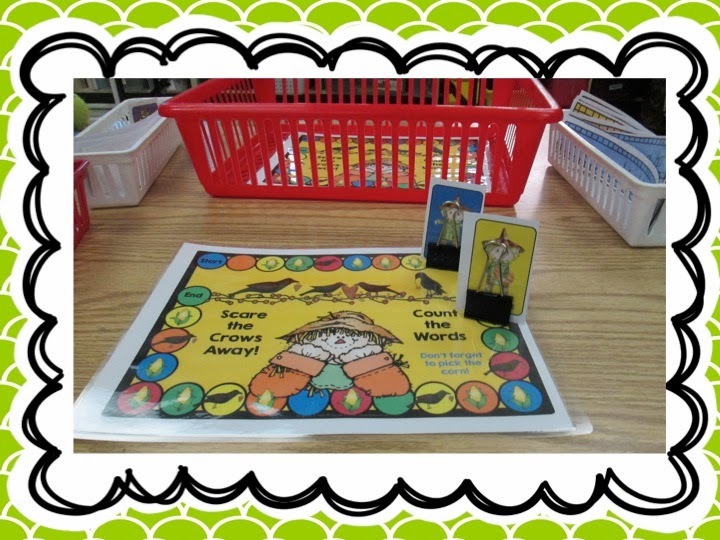 I LOVE all the fun games that we can put into our literacy and math centers BUT the little game pieces that we laminate for our little ones to move around the game board drove me NUTS! My kinders were always complaining that their pieces were falling down, they were getting lost on the floor, on and on.........So......... this idea came to me a few months ago and it has TOTALLY made life with games worthwhile again! Slip your game piece between a binder clip! It NEVER falls over and because it is stable piece, it hardly ever falls on the floor which makes it easy to keep the pieces together! Woo hoo! 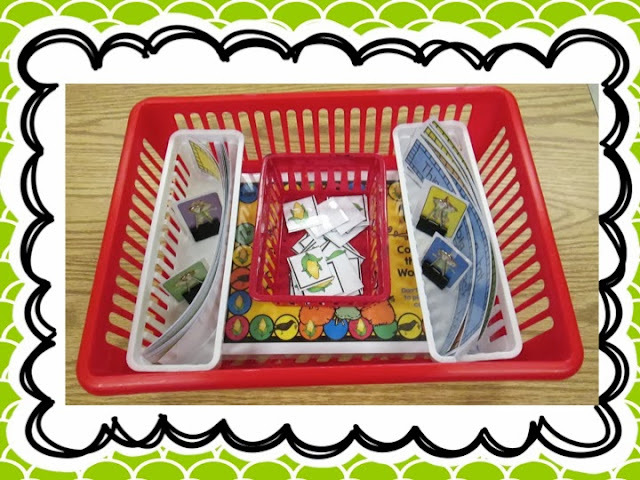 And look how neat and tidy the center basket stays! LOVE! them!!! 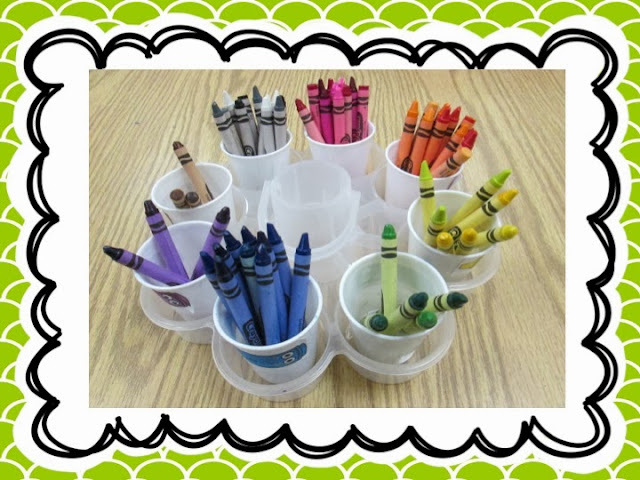 Absolutely works for me, crayons are always available, and they are adorable! 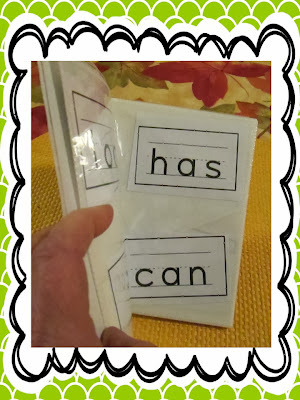 My third idea is using small photo albums for high frequency words. 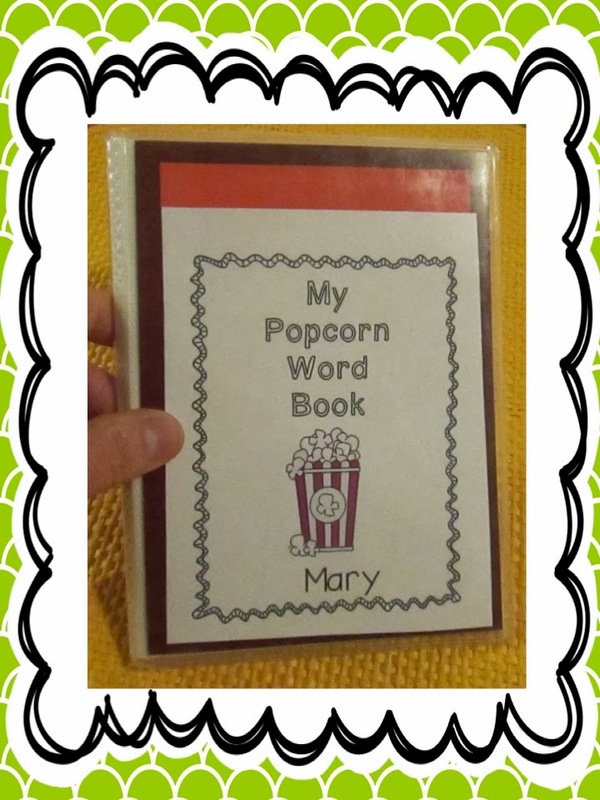 My student's parents love these books! 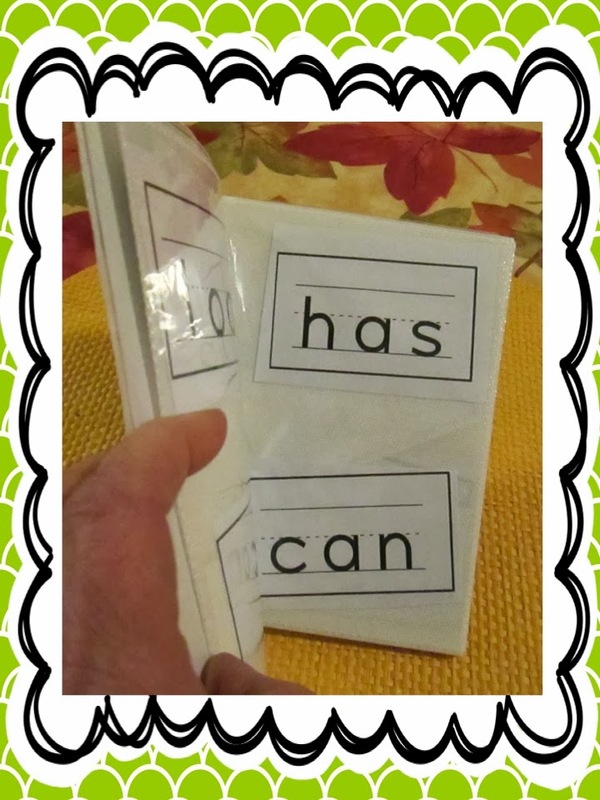 When a high frequency word is introduced, I give each child the word and they insert it between the pages. The books go home on the weekends for my kinders to practice with their parents. 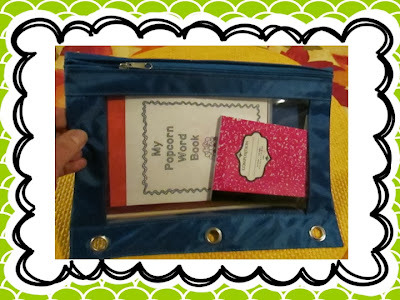 The albums easily fit inside a pencil pouch which make a nice transport for them to and from school. I found my photo albums at Walmart in the clearance section for $1.00 a piece this summer. I found these mini composition books at Walmart. They are the cutest! 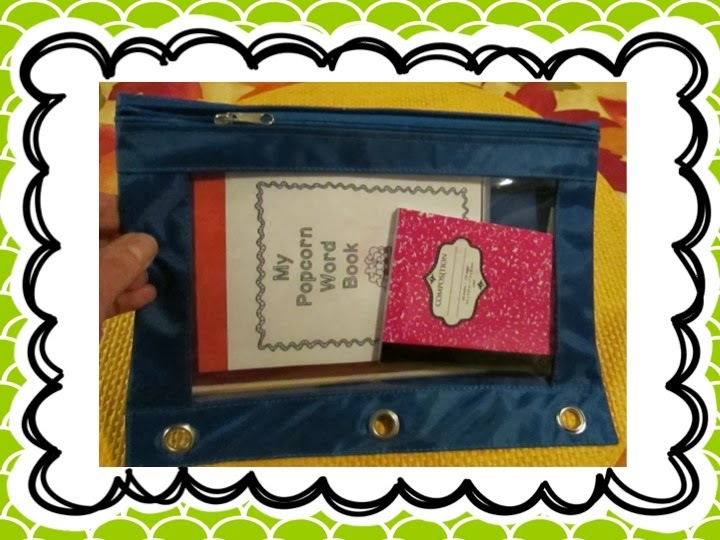 These fit perfectly inside the pencil pouch with the photo album. 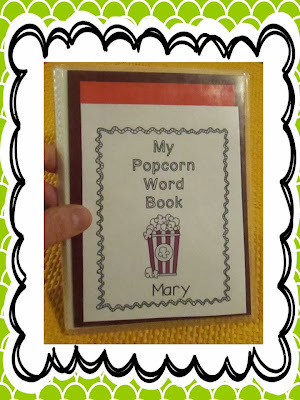 Parents use these to write about any problems or successes their kids are having with the words or kids can write/draw journal entries in them over the weekend. Another LOVE!! 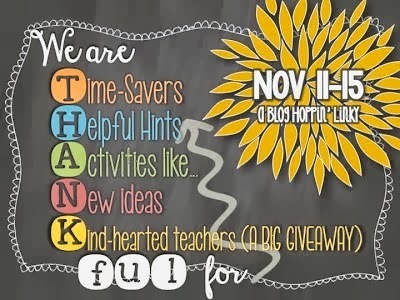 Hope you enjoyed these fun ideas!! Hi friends! This is Karen from Mrs. Stamp's Kindergarten. 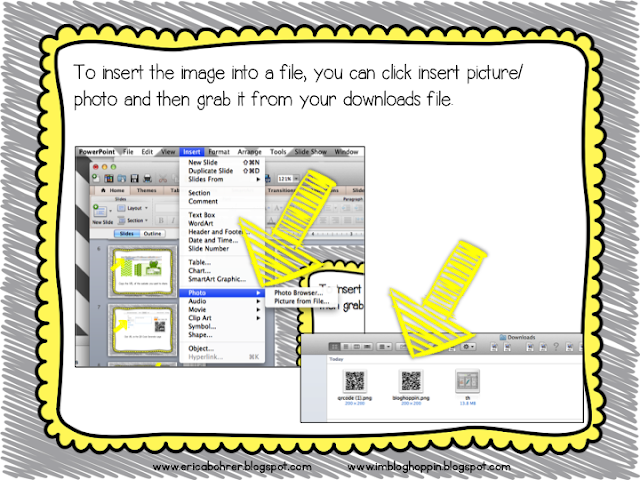 Click on the image above to download the labels (6 to a page). 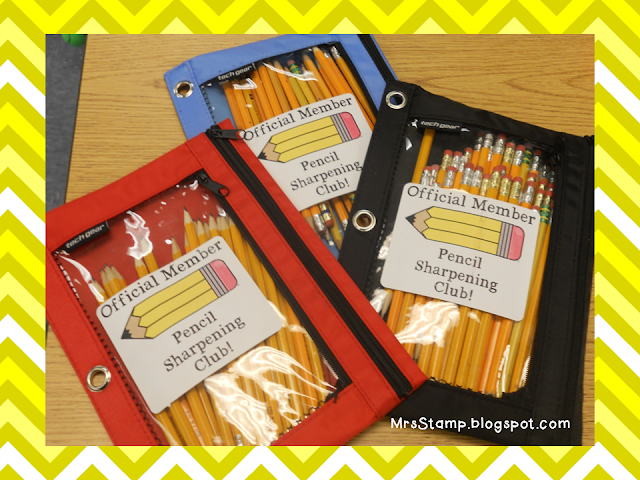 I simply attached labels to canvas zipper pouches and added a handful of pencils. I keep a list of my Pencil Club members in my volunteer drawer and can quickly see who to send the pouches home with when our supply is getting low. Click on the image above to download the list. 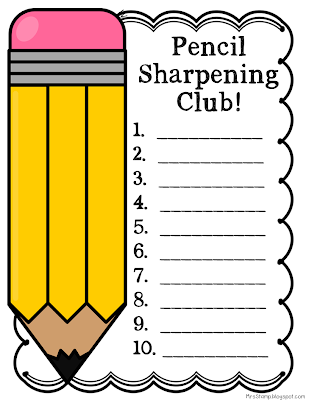 It's a simple, yet easy idea to keep your class writing... without the hassle of daily pencil sharpening. 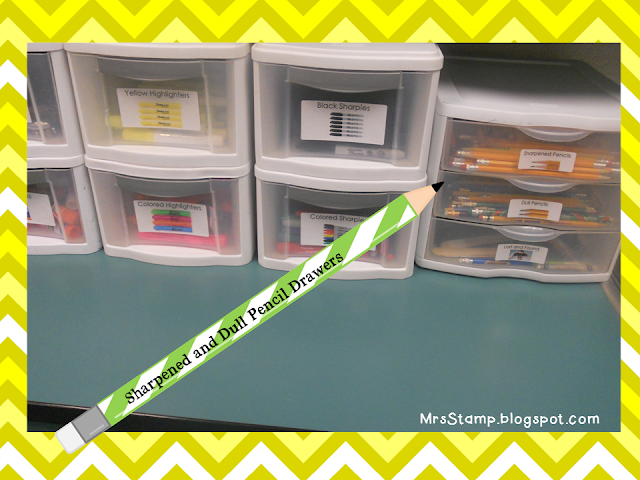 You see, my students simply put their dull pencils in the "dull pencil" drawer and get a new, sharpened pencil from the "sharpened pencil drawer". This helps everyone quickly get back to work! My new idea may not be new to many of you, but it sure was new to me this year! Have you all heard of Brain Break videos? 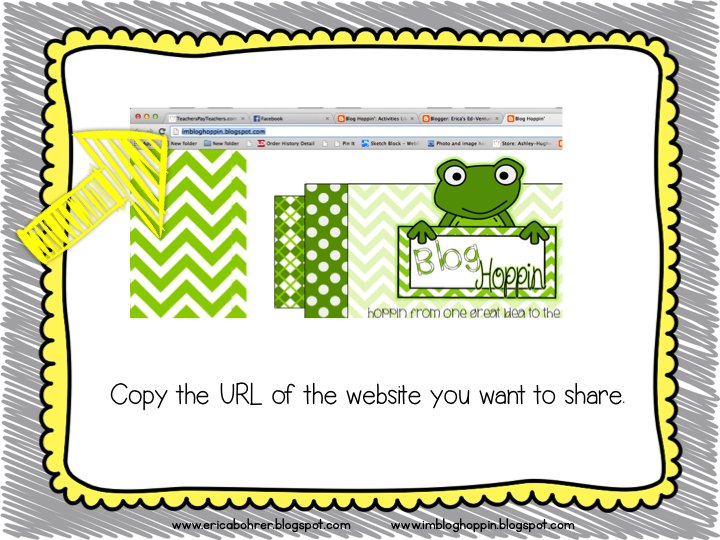 Brain Break videos are short music videos for kids on the web that allow them to get up and get those wiggles out. 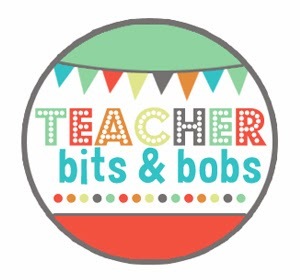 I use Brain Break videos after my kids have been sitting for an extended period of time, or when we transition from one activity to the next. My kids go CUCKOO for COCOA PUFFS over these and it helps them get their wiggles out AND it is just plain fun! The first one is only 1:27 minutes long, and is called "Shake Break!" And of course...WHAT DOES THE FOX SAY!!! Of course, if you show this one, you might have it stuck in your head ALL.DAY.LONG! Now it's your turn to link up with your New Ideas!! Those are all amazing ideas!!! Erica- love the codes! Way to get up with the times! Cindy- I have one of those cupcake things, what a genius idea!! And Karen- love the pencil idea, mine are just lying everywhere waiting to be sharpened! And Kerri- Wow, I have heard so much about the Fox video but haven't ever watched it! So random, but they'd LOVE it!! Loved all your ideas! Wow. Is your newsletter paper or do you do a digital newsletter. 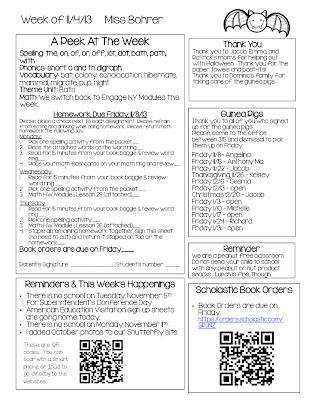 We have web pages, but my parents rarely read our class news! I miss the 'paper copy' of our newsletter!